What are the best Boston hotels for Harborfest? The answer depends on which Harborfest events you plan to attend, because staying in a nearby hotel will give you lots of convenience. Here are our recommendations for top Boston Harborfest hotels in each neighborhood where key festival events take place. Decide which of the 200+ events you plan to attend, and pick the location where most occur. Use the following guide to Boston hotels for Harborfest to make your choice and book reservations. You may also want to check recommendations for best hotels for Boston fireworks views on July 4th. Now get ready to enjoy Boston's Harborfest many fun events - and your convenient Harborfest hotel! Opening Day ceremonies, concerts, and many more Harborfest main events take place at Faneuil Hall. 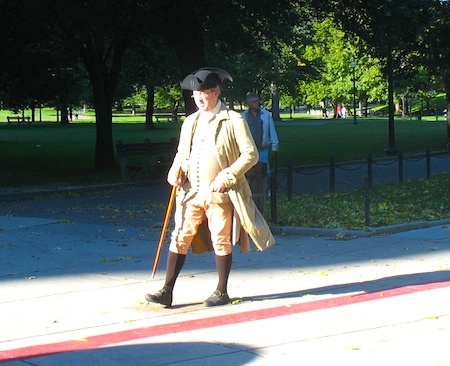 Many free tours begin at this famous Freedom Trail site as well. So for ultimate convenience, stay nearby - and enjoy Faneuil Marketplace as a break from Harborfest festivities. One of Boston's newest hotels, the stylish Ames Hotel (1 Court Street) puts you almost at the doorstep of the Plaza at City Hall, but you'll find it to be equally convenient to the Freedom Trail and Beacon Hill. You can also easily walk to the North End for events at Paul Revere's house as well as to the Downtown Waterfront if you're interested in going on a cruise. Pack a blanket and on July 4th, walk over to Boston Common, find a spot for your blanket, and watch the fireworks. 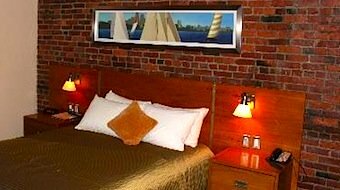 The Bostonian Boston Hotel (26 North Street) boasts the closest location to Faneuil Hall Marketplace. Haymarket takes place at its doorstep, and just beyond stretches the Rose Kennedy Greenway, the North End, and Charlestown, sites of still more Harborfest activities at the Old North Church and the Bunker Hill Monument. 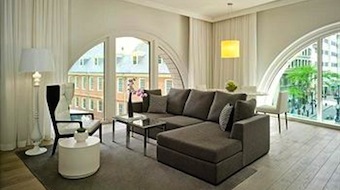 Plus, you'll love all the luxury touches at the Bostonian Boston. The onsite restaurant, North 26, also serves superb clam chowder. Although the Boxer (107 Merrimac Street), like other hotels near TD Garden, is a bit farther away from Faneuil Hall, it offers the advantage of being closer to the North End and Charlestown, sites of many interesting Harborfest events. Beacon HIll and Boston Common (where the State House is located) are also just a 5-10 minute walk from the Boxer. The Boxer is located in one of Boston's iconic "flat-iron" buildings. You'll love the luxuriously contemporary vibe here. The location of the Nine Zero Hotel (90 Tremont Street) puts it next to Freedom Trail sites such as the Granary Burying Ground and the golden-domed Massachusetts State House, where lots of fascinating Harborfest tours and other interesting events take place. The Nine Zero Hotel is also just around the corner from Boston Common, and the Waterfront is only 5-10 minutes away by foot. 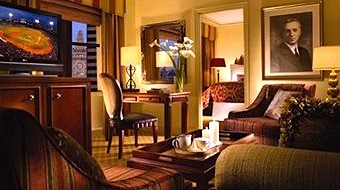 As you can see in the photo, some rooms have stunning views. 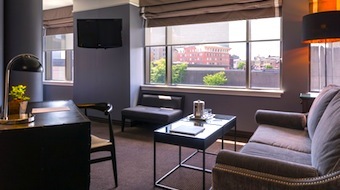 Although Fifteen Beacon (15 Beacon Street) enjoys one of the best Freedom Trail locations near the historic Massachusetts State House where a number of Boston Harborfest activities occur, it also happens to be one of the city's top luxury boutique hotels. You can walk to Boston Common and Faneuil Hall in 5 minutes or less. In addition to being one of Boston's most historic hotels (claim to fame: Boston Cream Pie originated here), the luxuriously restored Omni Parker House (60 School Street) enjoys a terrific Freedom Trail location right across the street from the Old Granary Burying Ground. Stay here, and you'll be at the center of all of the events and reenactments along the Freedom Trail, with Beacon Hill, Boston Common, and Faneuil Hall very close by. If Harborfest activities along the Waterfront, such as cruises, are your target activity, Boston's waterfront hotels will give you terrific convenience plus wonderful views and ambiance. Yes, they're quite pricey in the summer - but we suggest several more affordable options as well. Since many of the special Harborfest Boston Harbor cruises, tall ship sailings, and other water activities depart from Long Wharf and nearby Central Wharf, the Boston Marriott Long Wharf (296 State Street, on Long Wharf) offers an ideal location. Plus, the Marriott Long Wharf is next door to the New England Aquarium, where you can watch the resident seals frolic. Boston July weather can be hot and steamy - so at the end of the day, cool off in the Marriott Long Wharf's fabulous swimming pool. 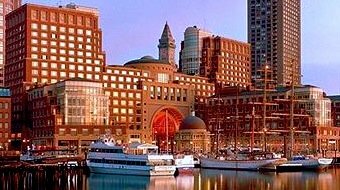 One of Boston's top luxury waterfront hotels, the Boston Harbor Hotel (70 Rowes Wharf) is conveniently located near cruise departure points along the Downtown Waterfront, and is almost directly across the water from Fan Pier. Reserve a water view room, and watch the moonlight dance on the waves as you relax in the evening. Or check out the hotel's lively "Summer in the City" program along the waterfront. 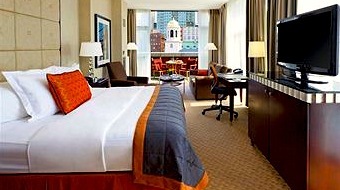 Waterview rooms from the InterContinental Boston (510 Atlantic Ave) are some of the best in the city. The InterContinental puts you close to all the Harborfest waterfront activities, plus you can easily walk up the Greenway to Faneuil Marketplace and the North End. Don't want to walk? Take a watertaxi - the fastest way to get around the waterfront. 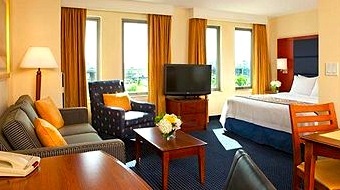 The Marriott Residence Inn, located on Tudor Wharf across the Charles River Basin from the North End, is equally convenient to Harborfest events involving the USS Constitution and other activities in Charlestown. You'll also be close to events at Paul Revere's House and Old North Church in the North End. Faneuil Market events are nearby. Suites in the Residence Inn give families plenty of room to spread out. The Constitution Inn in the Charlestown Navy Shipyard is one of Boston's best bargain hotels - and it offers the most convenient location to the USS Constitution and Bunker Hill events. 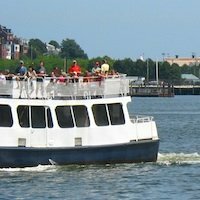 Although you could walk to events in Downtown Boston, taking the Inner Harbor Ferry from the Navy Yard is much more fun - and the 10-minute ride will cost you only $2 each way. 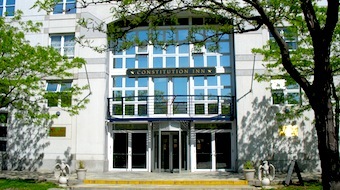 Rates, reviews, and reservations for the Constitution Inn. Almost 3 million people come to Boston to enjoy Harborfest. 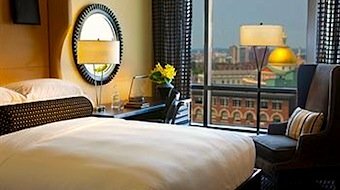 If you're planning to stay in a Boston hotel near the main events, you may feel like you're competing with each one of them for reservations in a convenient location and great rates. 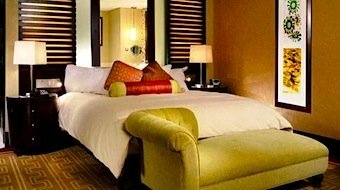 If your budget will accommodate hotel rates near the main events, you'll probably feel every penny is well spent due to the convenience as well as the excitement of being right in the middle of all the festivities. What if all the best Boston hotels for Harborfest are full? Or rates hit the stratosphere? 1) Check out slightly less convenient hotels in Downtown Boston and the West End, such as Theatre District hotels and hotels near TD Garden , where not as much may be going on in the summer. Remember, Central Boston is actually fairly tiny - so in most cases, walking 4 or 5 blocks rather than 2 blocks to an event won't be a hardship. 2) Check out hotels in central Boston neighborhoods that are farther from the action, such as hotels near Fenway Park and Back Bay hotels. 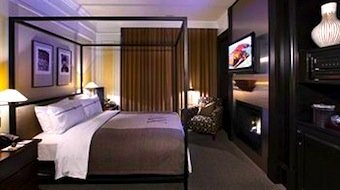 3) Check out my recommendations for inexpensive Boston hotels - including hotels outside of central Boston but near public transportation, and tips for how to save 25% on your hotel bill.